While Michael Bay is known mostly for the mega blockbuster Transformers franchise, he has been a prolific film maker for over twenty years and actually has a pretty diverse catalog of films under his belt. One of the underlying themes with his films is a clear reverence for the United States military so it only makes sense that he would eventually take on a story like this one. 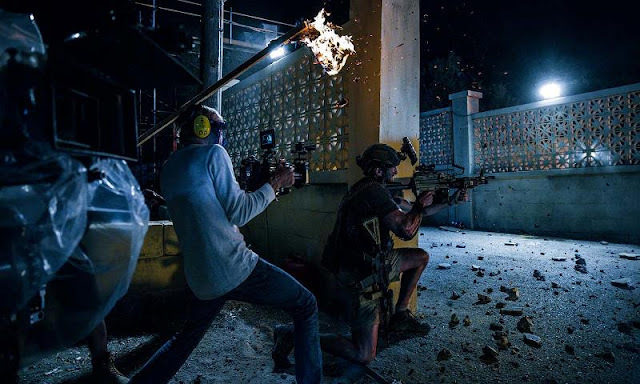 He goes to great lengths to treat the story with the respect it deserves while also incorporating his tried and true film making techniques which guarantee a very glossy finish and lots of big explosions. This modern day Alamo is made even more significant by the fact that it took place eleven years to the day after the 9/11 terrorist attacks in New York. 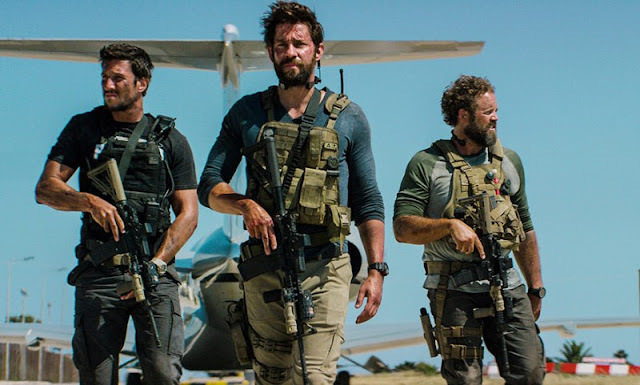 There is very little down time in this movie so, after the introductions and lead ins to the story, be prepared for a non stop assault of gunfire, explosions, and tactical maneuvers all made even more intense knowing that everything in the movie really happened. 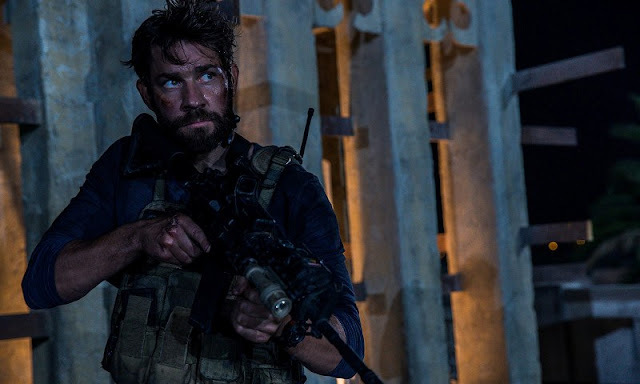 John Krasinski, who is most known for his role in The Office, leads a relatively unknown cast which, to me, allowed the story to take place without the baggage that comes along with big time Hollywood stars and the recognizability they bring along with them. It was almost like Michael Bay was the star of the movie because his film making style is so clearly defined, you can't help but picture him behind the camera while all the action is playing out on screen. 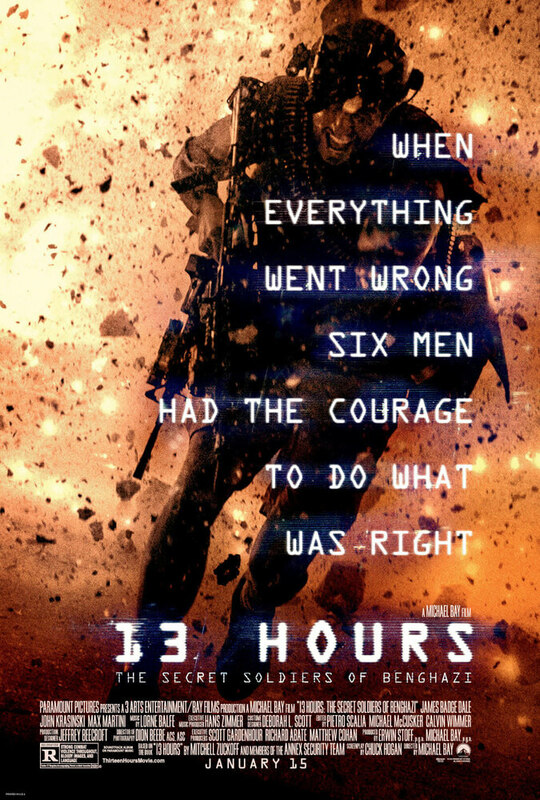 13 Hours: The Secret Soldiers of Benghazi is a very solid effort by a very gifted film maker and I'm glad I was able to learn about these heroic men who defied orders in an effort to save lives against impossible odds. 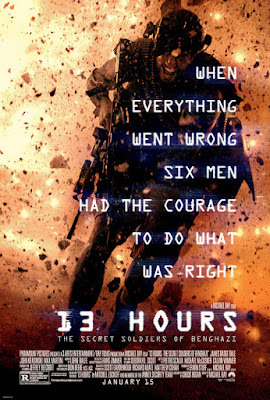 This won't be Michael Bay's most successful film although it may end up being one of his most important.